Just before I started This Side….Over Yonder the wonderful Steve Green presented my former fiction blog, The Other Side of Deanna, with a Liebster award and the lovely Estrella Azul gave me both the Liebster and a Sunshine award. I was going through a Major Life Change at the time and neglected to post proper acceptance. 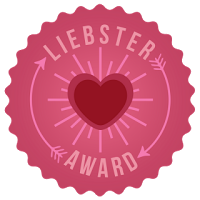 Now the talented John Wiswell has graciously given me a Liebster award, a different one, and that prompted me to get with the program. Thank you so much Estrella, Steve, and John, not only for feeling I’m worthy of the blog awards but also for not forgetting about me when I was AWOL for a while there. That means more to me than I can tell you. 3. Nominate a few other bloggers who’d enjoy it. Of course since this is for three awards I have to shake things up a bit. Let’s answer John’s (thought-provoking) questions first. 2. What theme do you wish more fiction tackled? I’m a literary fiction fan and a ghost story fan, so what I’d like to see is more supernatural themes crossing over into the literary genre. Maybe there is more like this out there than I’m aware of (because the stories are labeled so specifically I’m overlooking them – ?) simply because I wouldn’t pick up a book in the “aliens invade Earth” genre. One author who weaves ghost stories into literary fiction superbly is Joyce Carol Oates. Hmmm, maybe I just wish more authors wrote like JCO. 3. What was the last time you envied another writer’s work? First, let me state the obvious: there is a fine line between envy and admiration…..yet, when I got to the ending of A Fair Maiden, by Joyce Carol Oates, where there was twist after twist after twist, and within just a few pages mind you, I found myself thinking “Why can’t I do that?” Indeed, most all her work leaves me with this sort of reaction – the stories are exactly what I want [from reading] yet they also plant that little rotten worm of jealousy in my gut. 4. What’s the next book you’re planning to read and why? Right now I’m reading The Big Book of Ghost Stories, edited by Otto Penzler and I am loving it! There are tons of not only classic but also modern spine-tingling tales by some of the greats and some I’ve never heard of. Reading these has led to a couple of (thankfully inexpensive) Kindle purchases so I’ll be sticking with the ghost/horror kick for a while with my next read being Voodoo Tales: The Ghost Stories of Henry S. Whitehead. (Check out my bookshelf for short reviews of other recent reads). 5. Does anything in fiction routinely scare you or creep you out? Whether it’s werewolves or doctor visits. What gives me a great fright more than anything is when the writer describes the dark and gloomy atmosphere so perfectly that I can feel the absolute hush about the character who is walking through total darkness all alone just before we discover that he’s been watched for the last several pages. Great chills! 6. If you could spend an afternoon hanging out with any villain, who would it be? Definitely Count Olaf from Lemony Snickett’s A Series of Unfortunate Events, just because he’s so darn funny! 7. If you could delete any character from all of fiction, such that no one would remember it had ever existed, what character would it be? Easy one – Edgar Sawtelle. Never have I had a more violent reaction to a book than I did to The Story of Edgar Sawtelle. I had heard so many great things about it that I felt, even though I was bored to tears with the painful turn of each page, I had to finish it. When I finally became halfway interested, (about 95% in), the ending was horrible; in fact it was the ending that made me throw the heavy tome against the wall. 8. What’s your favorite nickname you’ve ever been given? Slim – as a child I was so skinny if I turned sideways I disappeared. My dad called me Slim from the cradle until I was about six months pregnant with my first son. He still calls me Slim now and then but, unfortunately, it’s more out of habit than anything that defines my physical attributes. 9. Do the last ten books you read have anything in common? At least eight of the last books I read had something to do with the supernatural. [See question #4]. 10. By a unique snafu of publishing, you are legally obligated to write a crossover between two popular franchises of your choosing. Which two are they? Batman (with the Joker) and Toy Story, hands down. What year should you have been born? Why? What will you be doing in seven years? Does the description of your astrological sun sign match your personality? If not, what sun sign should you have been born under? What odd fact about you would people be most surprised to learn?